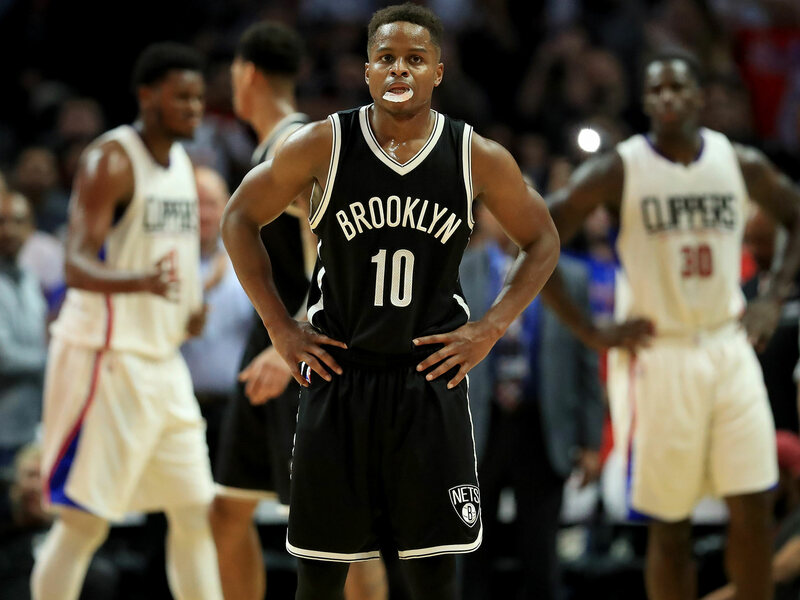 Cruising south on I-79, Yogi Ferrell scribbled a note while sitting in the backseat of an Uber, trying to find the words while inching along the western Pennsylvania border towards his dream. A young boy needed guidance from a young man navigating the ride of his life. Ferrell needed to reach Philadelphia, where, two days after the 23-year-old point guard posted 20 points and seven assists against the Erie Bayhawks, a 76ers group workout offered an elusive spot on an NBA roster. Ferrell’s chance required a two-hour ride to Pittsburgh for an afternoon flight east, and as his driver shuttled the former Indiana star, his story seemed pertinent to her boyfriend’s hoop-head son’s current bout with depression. “I wrote a little note to him,” Ferrell told The Crossover. “Just to give him a little inspiration to help him overcome this.” Upon arriving at the airport, Ferrell handed her his message and a $100 tip the Sixers would later reimburse. Philadelphia would only grant Ferrell his refund. While several members of the Sixers' staff deemed him the best ball handler of the session, Chasson Randle ultimately nabbed the final seat on Brett Brown’s bench, with his greater size and positional versatility proving the deciding factor. It was far from an unfamiliar trope. Ferrell’s diminutive stature had repeatedly derailed the start of his professional career. At 6’0, Ferrell was boxed out of the NBA’s draft combine. After auditioning for 16 teams, the three offering to call his name on draft night came stipulated with a draft-and-stash agreement. He declined. The Nets soon scooped up the undrafted point guard and plugged him into their summer league program and training camp roster, only to steer him towards their D-League affiliate in Long Island. He would rejoin Brooklyn in early November for 10 games, but was waived in favor of Spencer Dinwiddie, a combo guard with more size and experience. Ferrell recounted each sputter on the train back from the failed tryout. “A lot of time just to sit and think about it,” he said. “I felt like, it didn’t work for Brooklyn, it didn’t work for the Sixers, what’s going to be next for me?” His break-in-case-of-emergency option, playing overseas in Europe, grew increasingly more attractive. By late January, Ferrell’s agent, Keith Kreiter, had arranged a phone call with former Cavaliers head coach David Blatt to discuss the logistics of joining Darussafaka in Turkey. Mere hours before Blatt was scheduled to call, Mavericks general manager Donnie Nelson intervened with a 10-day contract. “It happened fast,” Ferrell said. Yogi Mania sparked even quicker. Following the subsequent morning’s practice—where Rick Carlisle taught Ferrell roughly 20 of Dallas’s offensive sets—the Mavericks, down Deron Williams and J.J. Barea, immediately inserted Ferrell into the starting lineup against future Hall of Famer Tony Parker and the Spurs. 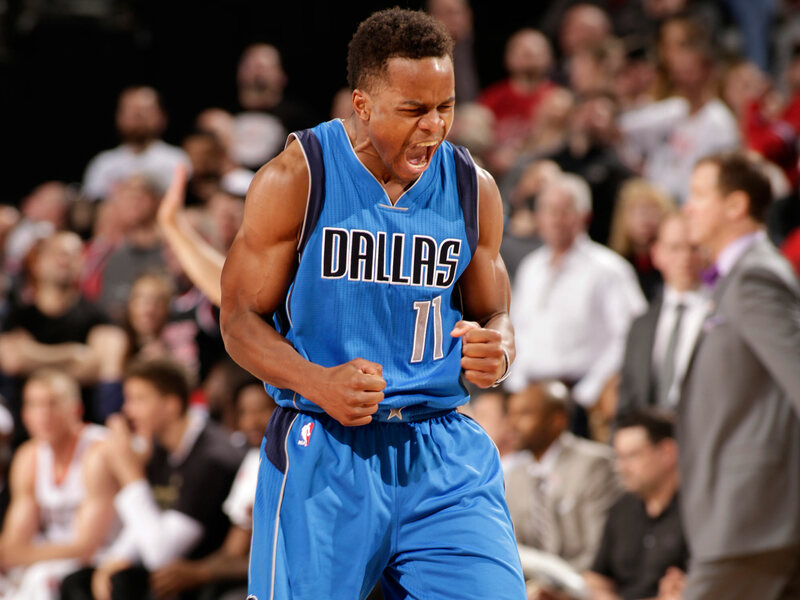 He scored nine points and dished seven assists in 36 minutes, piloting Dallas’s first win in San Antonio since 2011. He scored 19 points the next evening against the reigning champion Cavaliers and limited Kyrie Irving to 7-of-21 shooting in the process. Add 11 more points and five assists in a Feb. 1 drubbing of the Sixers, and the newcomer was quickly turning heads with his new team. Then, Ferrell's rise crescendoed Friday. That afternoon, Dallas pitched Kreiter on locking their new starting point guard into another 10-day contract, but the parties ultimately agreed on a two-year, minimum deal—the maximum salary the Mavericks could offer. Ferrell celebrated by torching Damian Lillard and the Portland Trail Blazers on national TV. “I pretty much just went out there and was letting it fly,” Ferrell said. He rained 32 points on 9-of-11 shooting from distance, including a game-sealing triple in the final seconds that earned a bear hug from Dirk Nowitzki. In all, Ferrell may have turned in the greatest performance on a 10-day contract in NBA history. Ferrell has seamlessly fit into Carlisle’s open system, where smaller, probing craftsmen like J.J. Barea have thrived with creative freedom and spacing. Ferrell's innate scoring mentality that several teams passed on has ironically made the Mavericks a perfect match. “You have to attack the rim, you have to know how to score, you have to be a threat on offense, so that it can create not only for yourself and for your teammates as well,” Ferrell explained. It's a message that can inspire many, the theme of a journey that certainly appears to have just begun.